The NEC ME331X features LCD display technology, 3300 lumens and native XGA resolution (1024 x 768 pixels, 4:3 aspect ratio ) coupled with a wide zoom ratio giving greater install flexibility thanks to the strong 1.3-2.2:1 lens. Cost effective 9,000 hr lamp life in eco mode, HDMI Input and USB input for PC less presentation, backed up with a rock solid NEC 3 Year Projector Warranty. 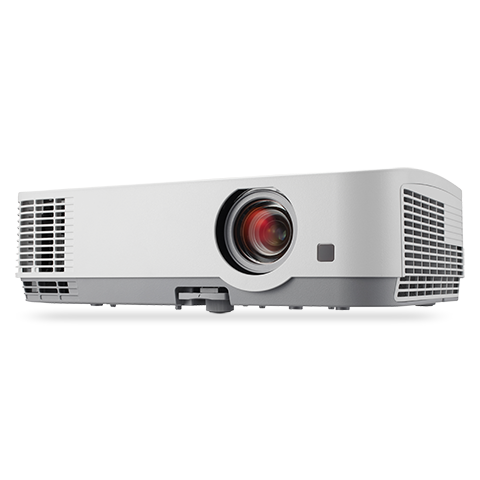 The NEC ME331X features LCD display technology, XGA resolution (1024 x 768 pixels / 4:3 aspect ratio) 3300 lumens and is particularly suited to small sized training or meeting rooms. The NEC ME331X is by far the most feature packed and versatile of projectors in this price bracket. Featuring a strong 1.7x optical zoom / 1.3-2.2:1 lens ratio, the ME331X is immensely flexible in where it can be positioned in relation to the distance between projector and screen making it a great projector choice if replacing an old XGA resolution projector. Generous selection of connectivity inputs are present including 1 x VGA, 2 x HDMI as well as a USB input for PC less presentations. The RJ45 input allows you to connect the NEC ME331X to your network and monitor the projector for vital usage statistics, remotely control the projector or set up schedules for on/off periods. 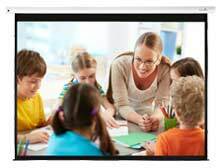 MultiPresenter is NEC's free application software which enables you to display your device's screen (computer, smart phone, etc.) on the ME331X via wired or wireless LAN (optional wifi dongle required for wireless). 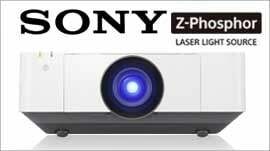 Easy to use and at the right price, ME Series projectors using LCD technology provide all the essential features that you need to connect with your audience. The 3300-lumen, XGA (1024 x 768) native resolution NEC ME331X is ideal for education and small-to-medium-sized business environments that need essential features, including bright colorful images, automatic technologies and eco-friendly appeal. The ME331X offers lamp life up to 9,000 hours and a high contrast ratio of up to 12,000:1, while Crestron Roomview aids in emergency messaging. The versatile, color-coded connections to various sources aid in classroom and conference room use, including those in healthcare environments where its DICOM Simulation technology can be utilised.